How do I begin. The movie " Lights Out" was one of the best PG-13 horror movies we've seen. Lots of jump scares, so be careful of your popcorn. The plot follows a mom with manic-depressive disorder. She has an older daughter from a previous marriage and a young son. There is an entity that appears when the lights are out. Needless to say when I got home most of the lights came on. It begins at a business her husband owns and he's very worried for his wife. The scares start there. The storyline is a little different, which is good. The actors do fine, especially the little boy played by Gabriel Bateman. He happens to be the youngest brother of Justin Bateman. Teresa Palmer plays his sister. Maria Bello is his mom. Bello has played in horror movies before but seems to be over acting somewhat. The director, David F Sandberg, tried to use as much natural lighting as possible, even in the candlelight scenes. He hasn't done very much directing before but did a good job here. 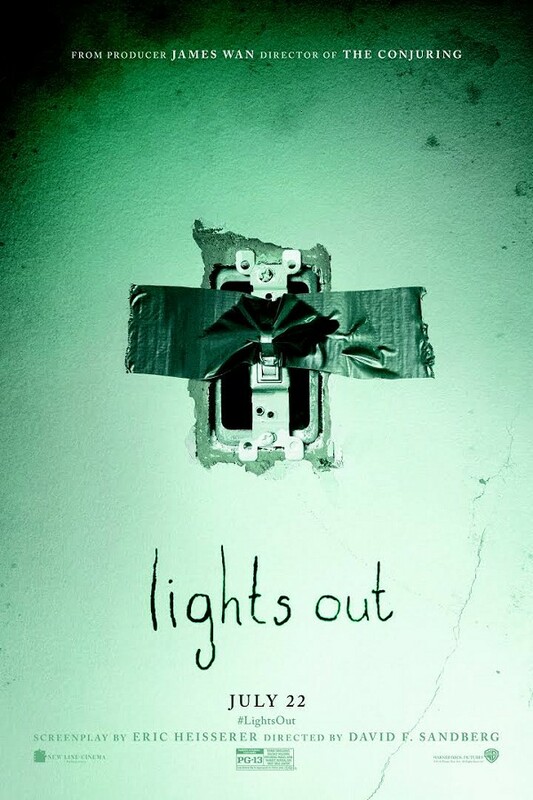 He made the award winning short film, also called "Lights Out". You can see that on YouTube. So go. Have fun. Eat popcorn.